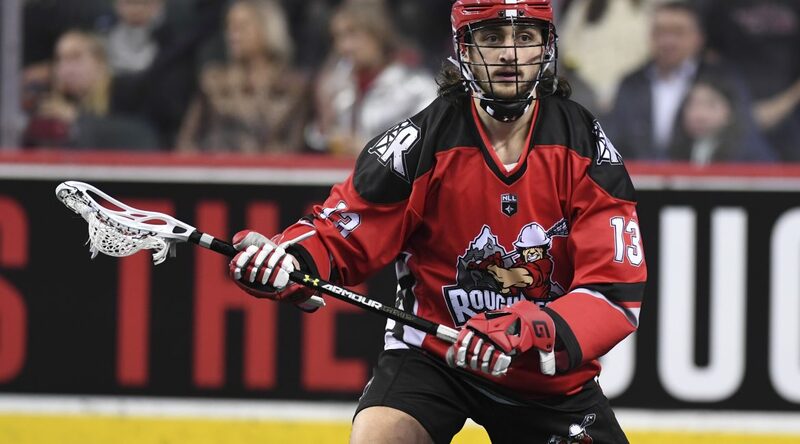 The Roughnecks saw a large injection of youth through the 2018 NLL Draft, adding four rookies to their lineup rotation and two others to the practice roster. Here’s a look back at what our rookies have accomplished so far during the Rigger’s 2018-19 campaign. You really wouldn’t know the 21-year-old Oakville native was a rookie unless someone told you. In seven games this year the forward has tallied 13 points (5g, 8a), which slots him third in rookie scoring. Boushy also sits in the top-10 for loose-balls scooped by rookies, with 18, and has caused one turnover. Big, strong, and banging bodies – Salama has been an absolute beast on the Riggers defence. The 22-year-old Coquitlam native has started five games this year, and has proven it’s no easy task to get around him. So far this campaign he’s recorded three assists and scooped 16 loose-balls. He’s also caused four turnovers which ties him for eighth in rookie CTO’s with fellow Rigger Shane Simpson. At 6-foot-7 and 240-lb., it’s not hard to spot Callies on the floor. But that’s not the only reason he stands out. The 23-year-old from Langley has started in five games and has found plenty of success: the defender has notched two points (1g, 1a), scooped 13 loosies and caused three turnovers on the season. If you blink, you might miss him. Rookie Shane Simpson is cheetah-fast in transition. While he’s only played three games, he’s still managed to put up some great numbers. Simpson has already scooped 13 loose-balls, and has caused four turnovers this season. He’s also managed three points in the three games (1g, 2a). Two other Rigger rookies, Sean Tyrrell and Carter Dickson, are continuing to develop in the Roughnecks’ practice roster. Dickson played in one game for the Riggers on Dec. 15.